God in America (Directors: David Belton and Sarah Colt): America has always represented a place where almost anything is possible, where people can start over and from where new ideas, philosophies and movements emerge. 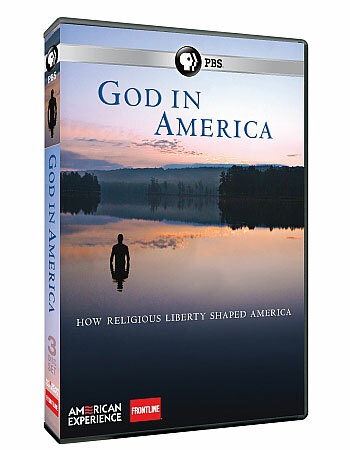 This six-part series from PBS explores the ways in which religious faith has flourished in the United States, even as it has been shaped by other powerful forces. Beginning with the Spanish conquistadors’ contact with the Pueblo Indians of the American Southwest, it was clear that European manifestations of faith and religious practice could not continue unchanged. When the Catholic priests began “converting” the Pueblos, they were under the impression that the natives had embraced Christianity’s exclusive message, and rejected their own pantheistic religious ideas. This was not the case, and when the Spanish began banning native religious practices and punishing transgressors, it didn’t take long before the Pueblos resisted. When 2,000 warriors descended upon the Spanish in 1680, slaughtering half of the Catholic priests, the Europeans fled New Mexico. Their Old World religion would not be able to survive unchanged in the New World. This is a fact that the Puritans who landed on the East Coast in 1630 were counting on. Escaping religious persecution in Europe, they saw themselves as God’s Chosen People and this new land as the Promised Land. The fact that there were already people living in it seemed to bother them as little as it did the Israelites before them. Fleeing a Europe they felt was morally corrupt, they were eager to start over and create a new society, based on the biblical principles promised by the Reformation but compromised by centuries of existing political and religious struggles. But the non-conformist principle that was behind the Reformation quickly came into conflict with the need for a disciplined and united community trying to survive in a hostile environment. And it didn’t take long for new strains of belief to break out and for the original community to become as rigid and calcified as the European Catholic hierarchy they had left behind. Just in the first episode, the series sets up the paradox at the heart of America. If everyone is free to do his or her thing, how do you develop a coherent society? America provided the answer by developing its own mythology. That shared myth is what binds Americans together now, not the Puritan Christianity that united the first settlers. It’s no surprise that the earliest religious conflicts, between the interiority of faith and belief, and the communal institutions of religion and politics, are still at the heart of American society today. I am very much looking forward to watching the entire series, and even based on the first episode, can recommend this to anyone (not just Americans!) interested in the way our personal beliefs and values affect our communities and our society. You can watch the whole series online or order the DVDs from the excellent website that PBS has created for the series. It also contains a wealth of background information and supporting material, including some fascinating historical documents. This entry was posted in Documentaries, DVD, Television and tagged americana, faith, frontline, history, pbs, religion. Bookmark the permalink.